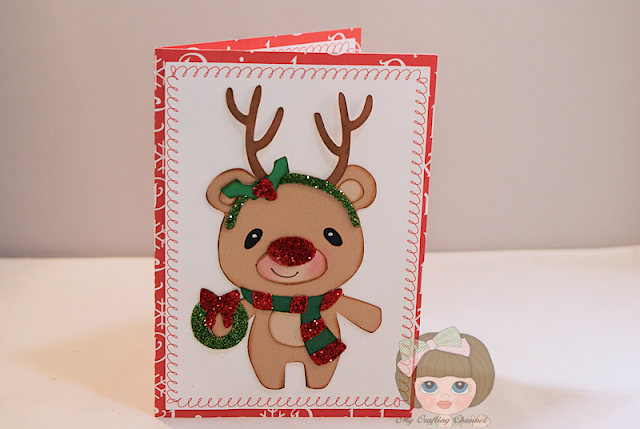 My Crafting Channel: Teddy Bear Parade #49 "Reindeer"
Teddy Bear Parade #49 "Reindeer"
Well today ends the Teddy Bear Parade Series. It has been fun. I can't believe it has 49 days since Pam and I started the series. 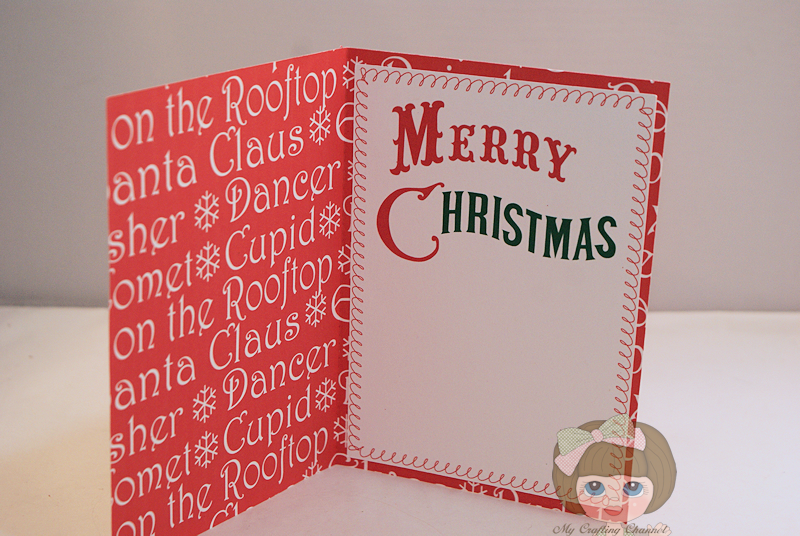 Today I have this cute Reindeer Christmas Card. Oooh his one squeezable teddie reindeer... Love him! Gorgeous Christmas card Nana I love the sweet bear. Super adorable card! 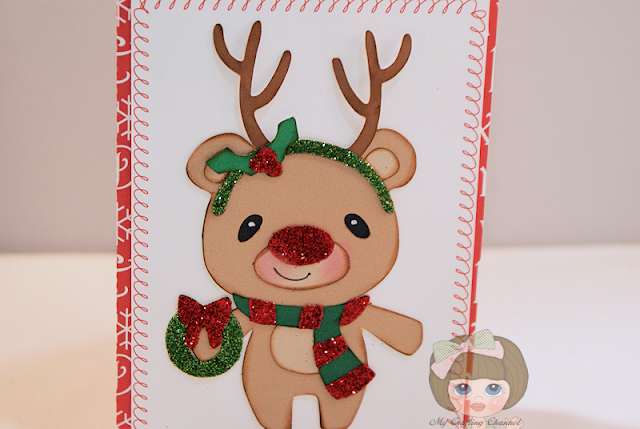 What a way to end this series...with an adorable reindeer teddy bear!! Awesome job with all your teddy bears! Love your sweet sparkly little reindeer! Great paper inside! Absolutely Love this card so sweet. Love his glittery outfit!!! It makes him extra special!!! Darling card!! What a super cute reindeer teddy! Love his glittery scarf, wreath, and head wear!!! Adorable!!! Too bad it's come to an end, it really has been such fun watching these sweet and adorable little bears on parade... lol!!! What a super adorable card! I love all the teddy bear cards you have make. You did a awesome job! TFS. Oh my gosh, I love him!! His sparkly nose is fabulous!! I love all the glitter - it really makes the card stand out! !